What is Mesothelioma and Why Do I Keep Hearing About It? 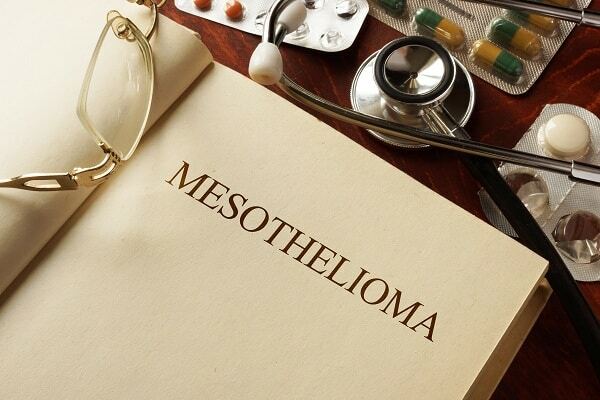 Home » Blog » What is Mesothelioma and Why Do I Keep Hearing About It? Just a few decades ago, asbestos was used in all types of industries and various forms of construction. Its properties make it a good insulator and fire retardant but at a deadly price. Although asbestos is a natural material, it is also hazardous. Thousands of workers were exposed to asbestos, and many of them developed mesothelioma years later. Mesothelioma is a cancer. Many – but not all – of the companies found liable for workers’ asbestos exposure have established trust funds for mesothelioma victims. In addition to employees, many members of the U.S. armed services were exposed to asbestos during their tours of duty. These veterans may receive compensation through the VA.
As the disease progresses, patients experience weight loss, difficulty swallowing, hoarseness and advanced respiratory complications. If you or a family member has an asbestos exposure history, visit a doctor immediately whenever respiratory symptoms develop – even if you think it’s just a cold. The bad news is that by the time a person becomes symptomatic, the cancer has usually metastasized, or spread. Treatment consists of surgery along with radiation and/or chemotherapy. Unfortunately, mesothelioma is incurable. Most patients die within a few years of diagnosis, although some have lived a decade or more. New therapies and technologies are prolonging survival for some patients, but for everyone, it is the fight of their lives. A good mesothelioma attorney specializing in asbestos law can help mesothelioma victims obtain money from the asbestos trust funds set up by and other compensation. Each mesothelioma case is unique and requires substantiation of the person’s work history. Mesothelioma cases require considerable amounts of documentation and investigation. There is a time limit after diagnosis for filing a claim, ranging from one to four years depending on the jurisdiction. There is another crucial point if the victim worked for a company that has not acknowledged liability – the lawyer must consider the proper venue for filing a lawsuit. The venue decision rests not only on where the person lived or worked when exposed to asbestos, but also takes into consideration the timeframe and past mesothelioma settlement history. The company – or defendant – may make an initial settlement offer to the victim, or plaintiff. An experienced mesothelioma attorney knows whether this is a suitable offer and advises the plaintiff of his or her options, including going to trial. The settlement generally includes payment for medical expenses and lost wages. If you or a loved one has been diagnosed with mesothelioma, contact the Dashner Law Firm today for a free consultation.